This day did not start off well. It is cold ! Right, that is to be expected, we are smack-down in the middle of Winter. But I think it is an age related thing … every Winter seems to be colder than the previous Winter ! Then, later this morning, I slipped and fell – .. yeah I know (picture the way someone steps on a banana peel and do the split) – that was me. Funny thing, whilst I am there on the floor, agonising in pain, I think to myself ” .. Geez Linda, you have the correct pose which athletes take when getting ready for the Ready .. Set .. when they are about to do the 100mt sprint..” ! Only- I never got to the GO part. However, I did miss falling into the open garbage bag which was in front of me. Suppose I must be thankful for at least that as you know what goes into the garbage! This afternoon, I am in the laundry, hubby in the lounge, when we heard a crash (seriously, the man thought I fell again!). Anyway, upon investigating, we found a candle, set in a wineglass, which were at the BACK of my craft case, broken on the floor. No draft, no one there, dogs outside and as I said it was in the back BEHIND other stuff … Weird ! Done laughing..?? Okay, this post is not exactly a recipe – 2 ingredients – 1 step ! But I will share it as a recipe, just because I feel like doing it right. 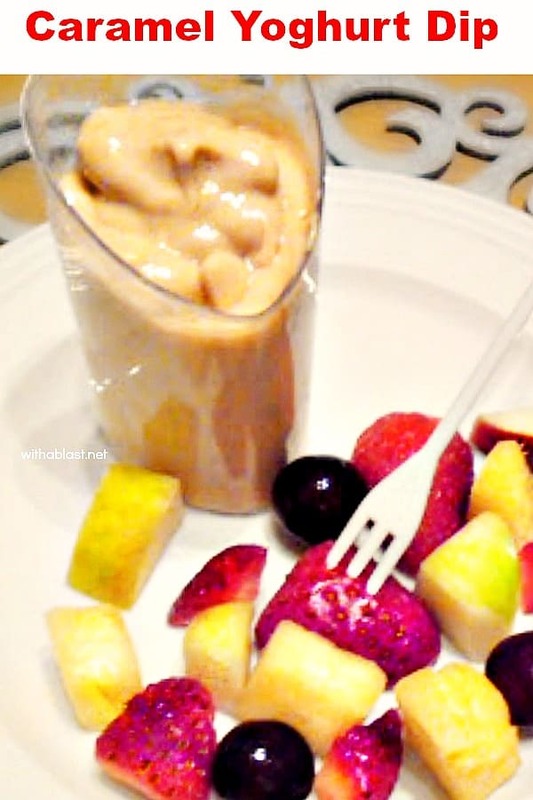 I love yogurt, but never tried to mix caramel into it. Will give it try! how amazing!! seriously making this, like tomorrow. Yum! I never would have thought of mixing caramel condensed milk with yoghurt. This is a great dip that can be whipped up in a couple of minutes. Your recipe sounds yummy…and usually I'm the one doing the "great" falls at our house! Thanks for linking, friend! Thanks so much for sharing with Wednesdays Adorned From Above Link Party. Oh my Gosh Linda, you never fail to amaze me. This looks delicious. Simple, yet delicious! Sorry you fell, hope you are all recovered now!! this looks good ~ found it on Thursday's Treasures. Newest follower. It is made by Nestle – when I was still at school, I used to make it myself – boil a normal can of condensed milk in water for two hours. 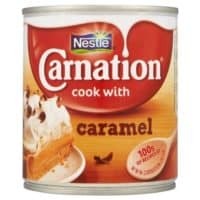 I'm not sure if we have caramel condensed milk here but I am sure gonna look for! This sounds divine! 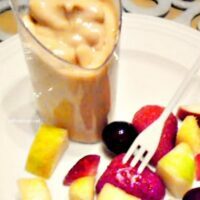 Thanks for sharing your eventful day (wink) and this recipe at the party this week! Eventful day, yes, especially when Roy just took it for granted that it's me falling again! LOL .. 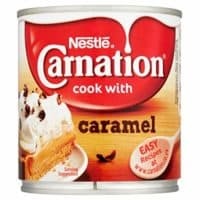 I use Nestle's Treat Caramel Condensed Milk – it is the same as when you boil an ordinary can of condensed milk in water for two hours – I was very glad when Nestle introduced the already caramelized type. Weird about the candle! Go figure! But this look delicious! Im going to have to try it soon.. yum yum! I hope your ok??? This IS a yummy dip! Thanks for sharing with Iron Chef Mom! Hope your days have been better lately 🙂 This dip sounds simply delicious! I think my kiddos will like it! Thanks!